As you are probably well aware, there are parts and pieces of your garage door that just wear down really fast. Your garage door has a lot of moving parts and almost always move when it is in use. Now, we are not saying they should wear down and break in a year or less. 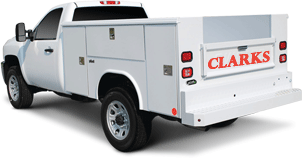 You should definitely call Clarks Garage Door & Gate Repair Los Angeles at (213) 769-1370 if that is happening. That just is not normal. However, what is normal is general wear and tear over a span of years. So what parts do you have to worry about the most? What should you be paying the most attention to? These are probably the main parts of your garage door that will break the fastest. 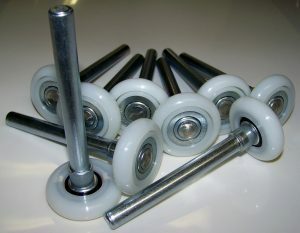 They are what makes your garage door glide up and down on our garage door tracks with every use. They are made to withstand the weight and stress, but not forever. The same goes for spring-loaded garage doors. The springs are what helps your garage door go up and down. They are made to take a lot of abuse, but not THAT much abuse. Eventually, they will erode and break. Not just from usage, either. Things like temperature changes and rainy or snowy days have a great impact on garage door springs and rollers. Your garage door is always sitting on these, even when it isn’t moving. They are, again, made to last a long time, but not forever. Eventually, the stress of the weight and movement will take its toll. Not to mention rust and corrosion. It is important to keep your garage door tracks clean and clear at all times, because that will help them last longer. It also helps if you avoid hitting them with your vehicle or tools at all costs. They can be broken as easily bent if impacted by an object as large as your vehicle, or as small as a sledgehammer falling on them. It is important not to hang anything on your garage door tracks as well. Such preventative measures might save you the trouble of the next section for a while. (213) 769-1370 is the garage door repair service to call in Los Angeles. Now, we understand that everyone likes to be self-reliant, but DIY garage door repairs are a bad idea. For one, it is dangerous. Garage doors are heavy and garage door parts hold all that weight. 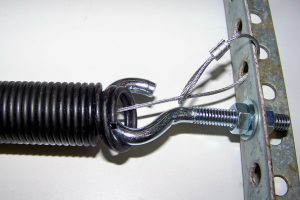 Garage door springs, in particular, are very dangerous to work on. One wrong move and they could literally cause a fatal injury on the spot. Also, it is better to have a professional do it right the first time. So just give us a call and let us handle the messy details. Our promise is high-quality garage door repair services, five-star customer service, and affordable pricing. When you contract Clarks Garage Door & Gate Repair Los Angeles for your next garage door track or roller repair, you can trust us to get it done.